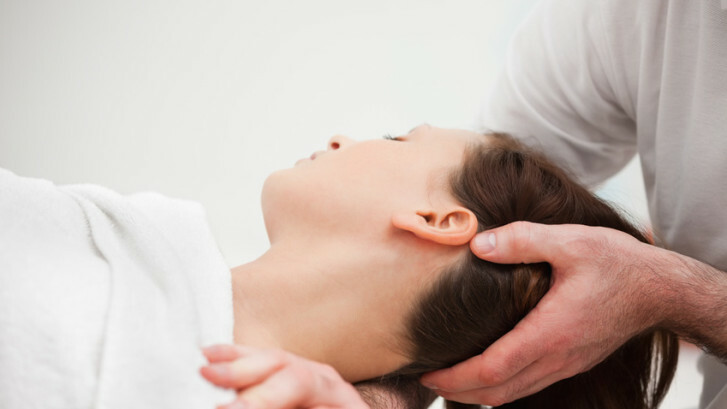 CranioSacral Therapy is a light touch manual therapy that increases movement of the cerebral spinal fluid into the brain and treats restrictions in the craniosacral system. The craniosacral system consists of the membranes and cerebrospinal fluid that surround and protect the brain and spinal cord. The system extends from the cranium, which is made up of the bones of the skull, face and mouth, down to the sacrum or the tailbone area. This system is important for the development and performance of the brain and spinal cord and an imbalance in the system could cause a number of health challenges. CranioSacral Therapy releases tensions deep in the body to relieve pain and dysfunction and improve whole-body health. Everyday you endure stresses and strains and your body absorbs them. But your body can only handle so much tension before the tissues begin to tighten and potentially affect the brain and spinal cord. This can compromise the central nervous system. Correcting these restrictions and imbalances in the system enhances the body’s own natural ability to heal itself. CranioSacral Therapy is performed on a fully clothed body in a quiet, private setting. Using a light touch, generally no more than the weight of a nickel, the practitioner/Massage Therapist gently touches parts of your body to monitor the rhythm of the fluid that is flowing around your central nervous system. By carefully listening with the hands to locate areas of weak fluid flow or tissue motion, the practitioner can trace those areas of weakness through the body to the source of the dysfunction. The clinician uses gentle manual techniques to release those problem areas and relieve unnecessary pressure on the central nervous system. A CranioSacral Therapy session can last from about 15 minutes to more than 1 hour. For more information on CranioSacral Therapy please contact us.